Feature photo by Swami Stream. Photo above by Liutao. 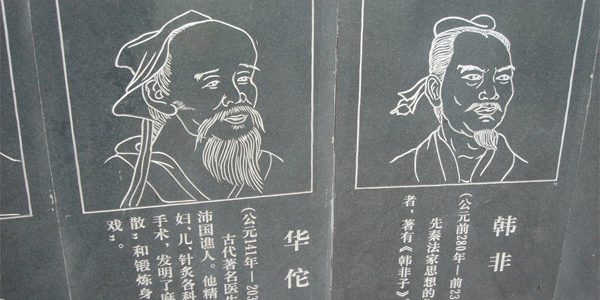 A list of some of the best thinkers to come from the East. Western travelers have a propensity to romanticize the wisdom of the East. We often seek out places like India, China, and the Middle East precisely because their wisdom is older than ours. We visit their sacred places, their shrines and monasteries and wonder at the odd curves in their architecture. By traveling East, we paradoxically yearn to connect outwardly with the most spiritual of inner truths. Perhaps it’s precisely that paradox which makes the East so compelling for Western travelers. There is no overarching tradition that categorizes the extent of inner travel better than Eastern philosophy. Nowhere in the West has meditation and concentration been so ancient and connected with the spiritual and profound. It’s in this tenor that I’ve compiled a shortlist of canonical Eastern thinkers to help inspire the inner wanderlust in all of us. Lao Tzu. Photo by beautifulcataya. One of the more refreshing tenets of Taoism is that humans don’t hold a special status within the natural order, being only one of many manifestations of the Tao. It is thus the goal of the Taoist to find their own place in the Tao, to seek harmony with the order of things. And isn’t that essentially the same for any displaced traveler? Finding oneself and one’s place in the grander scheme of the world, despite its multifarious unfamiliarities, is exactly what the traveler seeks, whether that journey is inward or outward. Siddhartha Gautama is the celebrated founder of Buddhism. Originally born a prince in a region of Ancient India, which we now refer to as Nepal, his early life was lived in relative luxury and obliviousness, far from the life of the great inner traveler he was to become. As the story goes, his obliviousness was not his own doing, but rather his father’s, who wished to shelter his son from human suffering. But at the age of 29, Siddhartha defiantly left the shadow of his palace’s walls. In an event referred to as “The Great Departure,” he escaped in silence to seek the truth about life. Thus, Siddhartha became the quintessential vagabond. Living frugally, he found wisdom while begging for alms in the streets. After eventually achieving enlightenment through solitary reflection and meditation, he traveled through India as a teacher. At some crucial point, every traveler-at-heart makes their own great departure. We aren’t all founders of Buddhism, to be sure, but it’s that search that drives us– to see the world for what it really is, and to learn something about ourselves in the process. 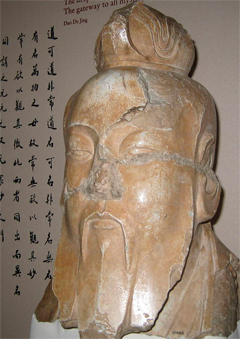 Bodhidharma. Photo by Nemo’s great uncle. Few brands of Eastern philosophy are as perplexing as Zen Buddhism, and we have Bodhidharma to thank for it. He began as a Buddhist monk in India, where it is said that he lived in a cave and meditated by staring at the cave’s wall for several decades. Staring at walls undoubtedly inspired him to dream a lot about travel. Sure enough, he eventually left India and traveled throughout China, where he discovered that the Buddhist teachings there were filled with unjustified superstition and menial rituals. 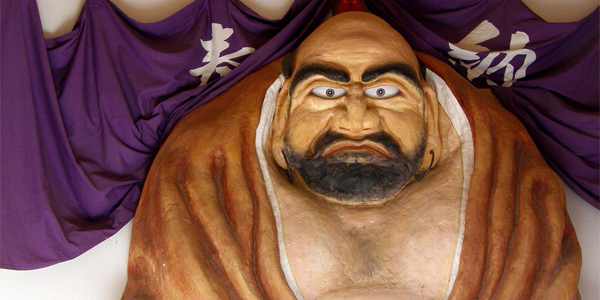 Thus, Bodhidharma developed a non-traditional path to enlightenment which was to become Zen Buddhism. Although it is customarily very un-Zen to attempt to directly define what Zen is, I’d say that ultimately it’s about living life by the moment. It is about finding enlightenment through new perspectives, as each moment uniquely brings them, rather than relying on rules, habit or establishment as guides. And I can’t think of better travel advice than that. 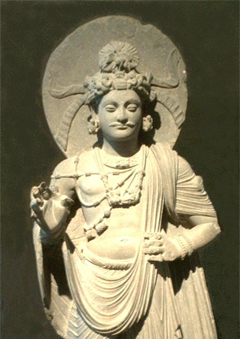 Zarathushtra. Photo by Christine K.
Zarathushtra, or Zoraster, was an ancient Iranian philosopher and poet who is credited with founding Zoroastrianism. Before Islamic conquests shook the region, Zoroastrianism was the dominant religious philosophy in ancient Iran. It was also a key influence in the early development of Western philosophy, which goes to show that the line between the East and the West is not nearly as clear as some classifications imply. At the heart of Zarathushtra’s philosophy is the belief that we must be open to all experiences life offers. 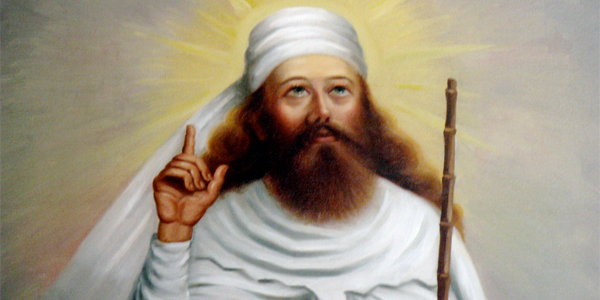 Zoroastrians believe firmly in being an active participant in life. It’s our actions, particularly toward one another, which ultimately determine our own life’s meaning. Travelers with a conscious respect for the cultures in which they’re traveling would do well to channel their inner Zoroastrian. That would be: to actively pursue every aspect of life, but always do it with good thoughts, good words, and good deeds. Unlike the other four Eastern philosophers mentioned above, Krishnamurti is not an ancient thinker. He was born in India in 1895 died in California in 1986. Thus, although his thought has origins in India, he has had a worldly influence. As a young man, he was christened by those surrounding him as the next great World Teacher, and was groomed from youth to take that role. But after a process of awakening he later came to disavow this title, choosing to foster his own path. 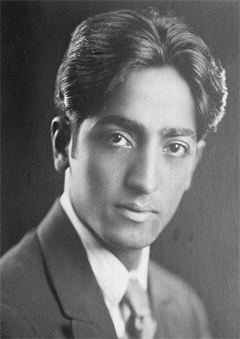 Krishnamurti eventually traveled the world, giving lectures focused on the power of the mind in meditation. He taught that the problems of the world, such as hunger and war, are primarily a result of our thinking. If we want to enact change in the world, then he believed we must change the ways we think. Rather than clinging to beliefs dogmatically, which isolates us from others and causes us to choose our beliefs over the well- being of others, Krishnamurti encouraged independent, positive thinking. His philosophy is a reminder that the line between inner and outer travel is always a thin and delicate one. What other Eastern thinkers would you add to this list? If you haven’t already read it, Bryan’s list of Western thinkers can be found here.